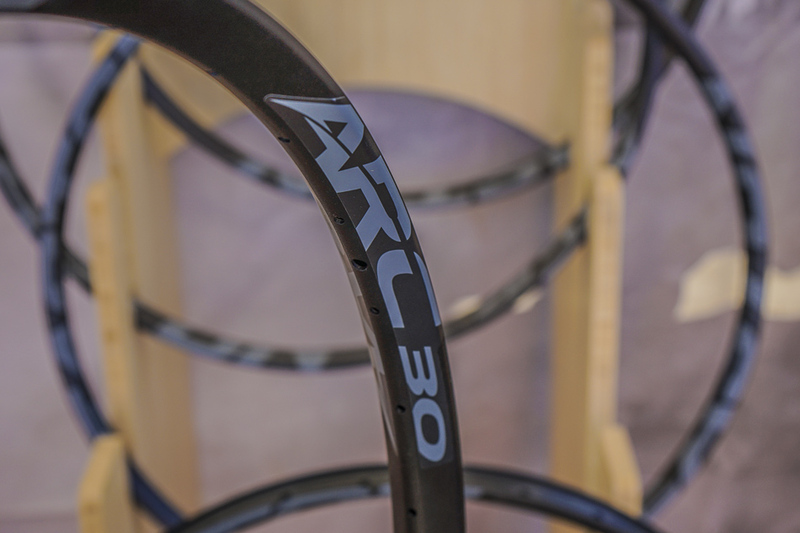 Easton has heard the pleas for wider rims, and is now offering the new ARC as a rim-only option in both 29″ and 27.5″. 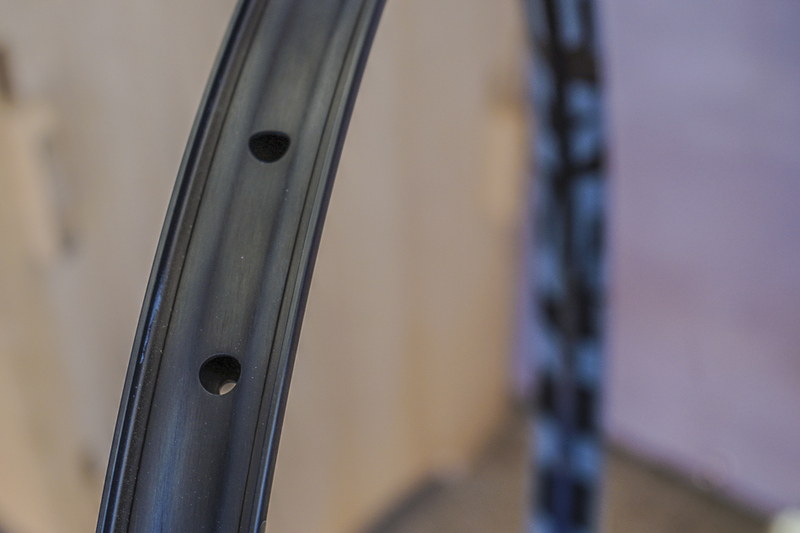 The 32-hole, tubeless-ready aluminum rims will come in 24-, 27-, or 30-millimeter internal widths. Claimed weights are 455g/ 515g/535g for the 29″ hoop, and 425g/475g/490g for the 27.5. Evoc has expanded its line of Stage technical packs, and will offer 3-, 6-, 12- and 18-liter options. The smaller two are slated to be available in September, while the 12- and 18-liter (currently called the “Trace 18l”) bags are available now. All four sizes feature both XC and DH helmet carrying capacity, and all but the 3-liter version have a fast-access tool pocket on the front of the bag. The largest two sizes have rain covers and a pad attachment system. 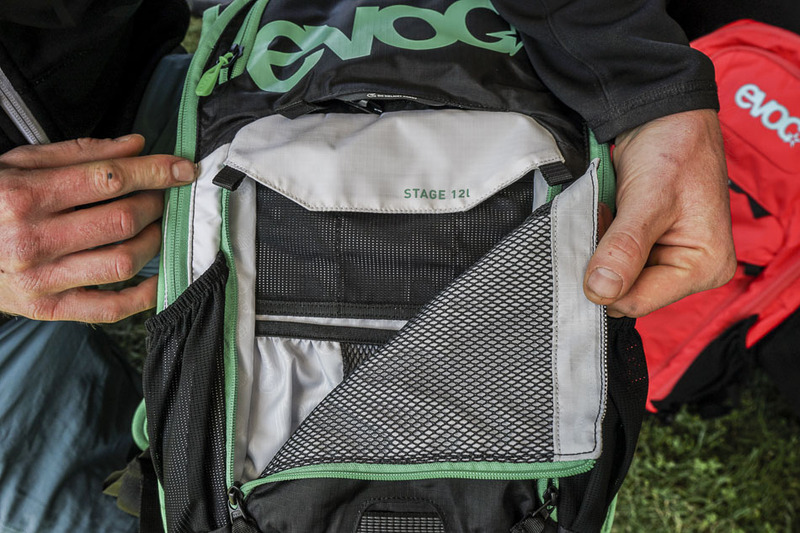 All but the 3-liter version of the four bags in Evoc’s forthcoming Stage line have a fast-access tool pocket on the front of the bag. Some of Evoc’s bags have integrated spine protection, but the Stage packs are intended to be light, breathable and stable. To that end, the back panel is vented, but not in a way that leaves extensive space between the rider’s back and the pack. The 12- and 18- liter packs also feature relatively large hip strap pads, which are intended to help stabilize the weight of the bag. The pads are made of a medical-grade material that Evoc calls Airo Flex, which is designed to be flexible, breathable and strong. 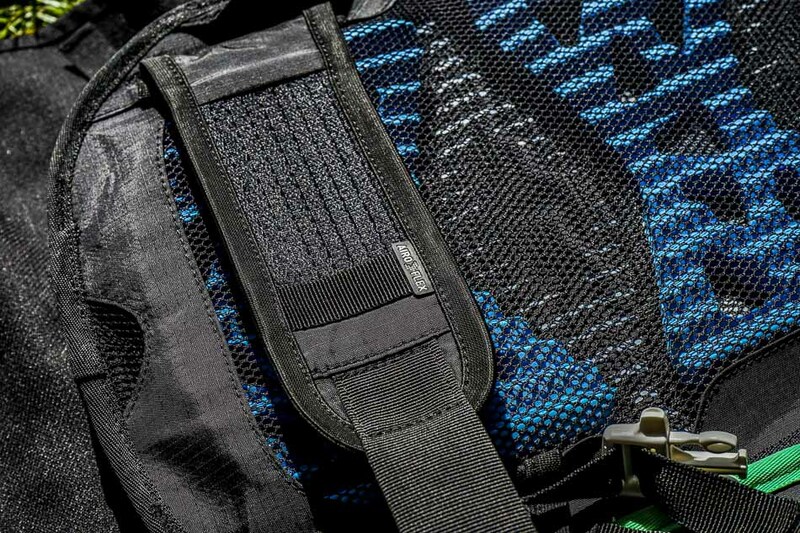 The 12- and 18- liter versions feature Airo Flex-padded hip straps. 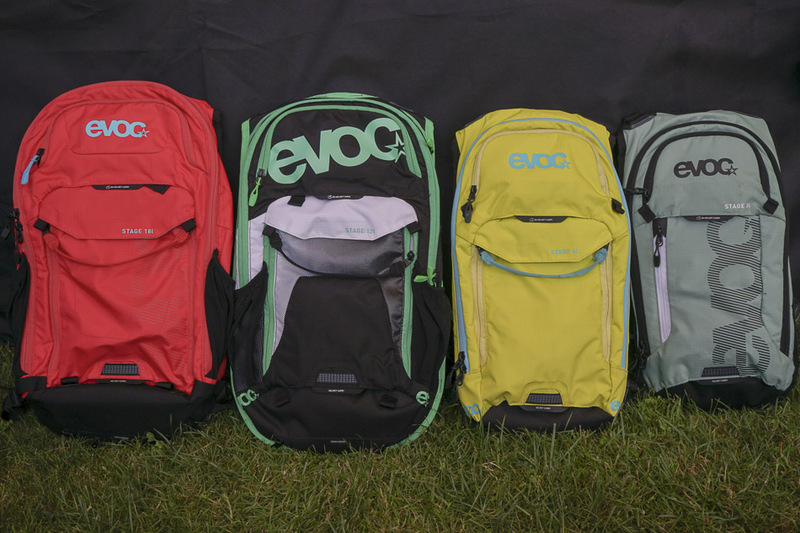 Evoc is perhaps best known for their bike travel bags, and their new Pro model looks to continue that legacy. The wheel pockets on both sides have integrated rotor protectors, saving frequent flyers from what is often the most lengthy part of the unpacking process. The bag rolls on large, sealed-bearing skate wheels, and also includes a clip-on front wheel for travellers who don’t want to lift and tow the bag by its aluminum handle. Everything inside is secured with integrated straps and pads, and there are several pockets for pedals and miscellaneous small parts. 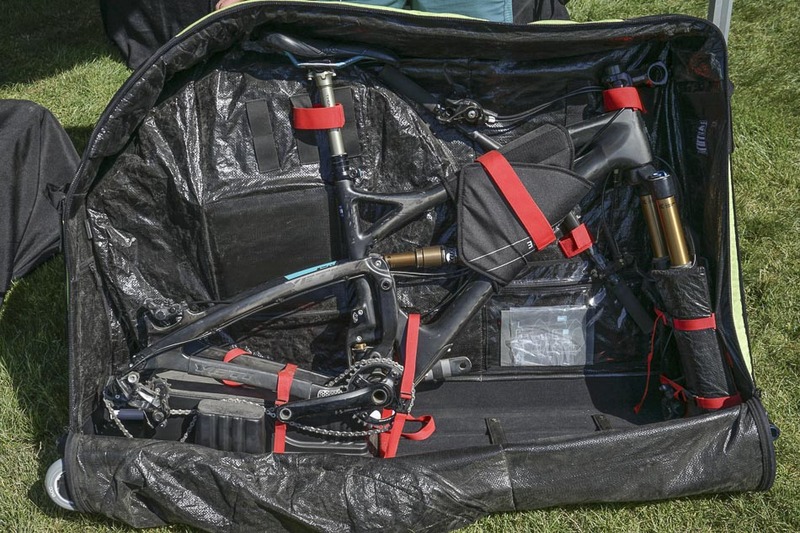 Evoc’s Bike Travel Bag Pro retails for $595. 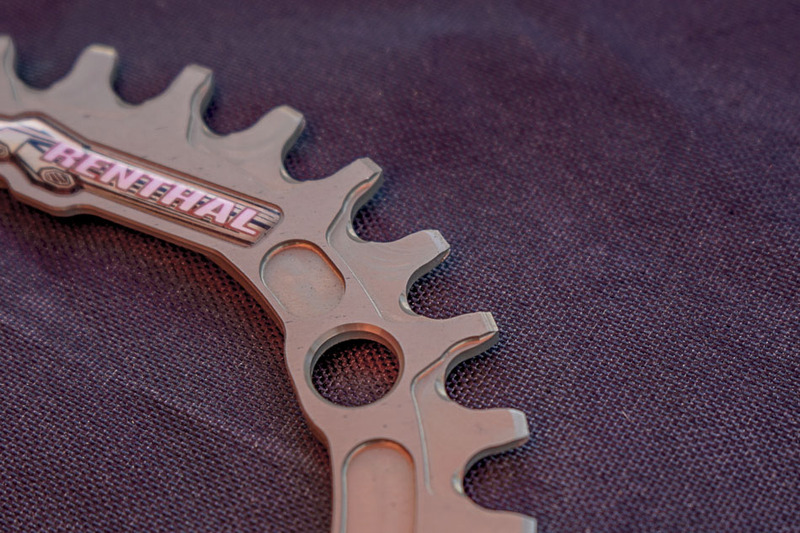 Renthal recently announced its first entry into the retention chainring market. The new 1XR ring features all the functional CNC work you’d expect from the UK brand: the alternating 1.8- and 3.5-millimeter teeth are profiled to give the inner chain plates more clearance as the chain wears, and the areas around the teeth are CNC’d for mud evacuation. Renthal claims that those two features will make this 7075 T6-aluminum ring capable of lasting through more harsh and mucky UK winters than most anything else available.